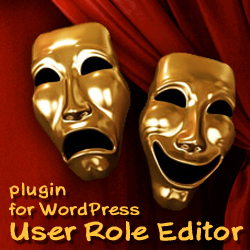 What’s new in version 3.5 of User Role Editor WordPress plugin? – User Role Editor could be available now for single site administrators (Administrator role) under multi-site environment. You should define special constant in your blog wp-config.php file for that. – One of “User Role Editor” users with 1100+ sites in the multi-site network reported that URE doesn’t update roles for all sites, but stalls somewhere in the middle. Other network update method is realized as alternative. Due to my tests it works approximately 30 times faster. If you met the same problem, try it. It will be great if you share your experience with me. But be careful. It’s recommended to make 1st try on the backup copy, not on a live site. 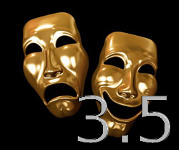 – Persian translation is updated. Go to User Role Editor Change Log for details. This entry was posted on Sunday, February 19th, 2012 at 09:36	and is filed under General, ShinePHP plugins news, WordPress. You can follow any responses to this entry through the RSS 2.0 feed. You can skip to the end and leave a response. Pinging is currently not allowed.